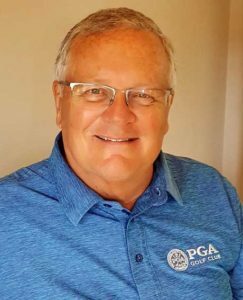 Len Ziehm is entering his 50th year writing on golf, the first piece being a report on the 1968 Western Open at Olympia Fields for the Hammond (Ind.) Times. Len spent 41 years with the Chicago Sun-Times as golf columnist. He also covered a wide variety of other sports – beat writer on Northwestern University sports for 11 years, beat writer on the Chicago Blackhawks for nine years, beat writer on Chicago soccer teams – Sting and Fire – for 26 years. Golf travel writing started with the Chicago Sun-Times and also included freelance pieces, primarily for Chicagoland Golf (from its founding in 1989) and Chicago District Golfer. After retiring from the Chicago Sun-Times in 2010, Len became a golf columnist for the Daily Herald (a newspaper newspaper covering the Chicago suburbs). Travel destination pieces are among the features of his website, www.lenziehmongolf.com, which is in its ninth season.